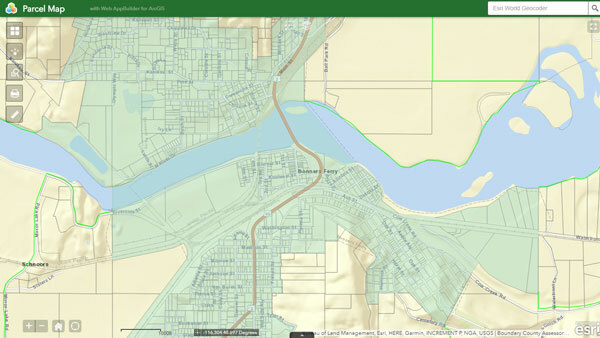 The City of Bonners Ferry provides these interactive maps and associated data as a public service. We hope you find the application useful, but if you use this data you need to know that it does not represent survey level accuracy and can contain errors. The City makes no claims as to quality, accuracy, completeness, or timeliness. 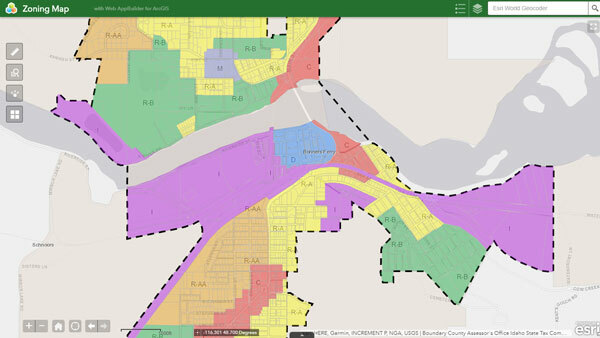 Maps and the associated data are for illustrative purposes only and are not designed as a substitute for legal surveys or legal records. The City of Bonners Ferry does not accept any responsibility for any losses or damages arising from anyone who may use this information. Please refrain from acting independently based solely upon the information shown here. Users should verify any information in the County official records before acting upon it. When prompted, you will be required to accept this disclaimer before viewing the maps.